We are excited to announce the USYVL Kids Night schedule for the spring 2019 season. This is a great opportunity for participants, family and friends to attend a local volleyball match. Players and Coaches may purchase $1 tickets and just $5 for Friends and Family. A special thank you to the local universities and teams who provide this opportunity for USYVL participants so that they can come and enjoy a collegiate volleyball match. 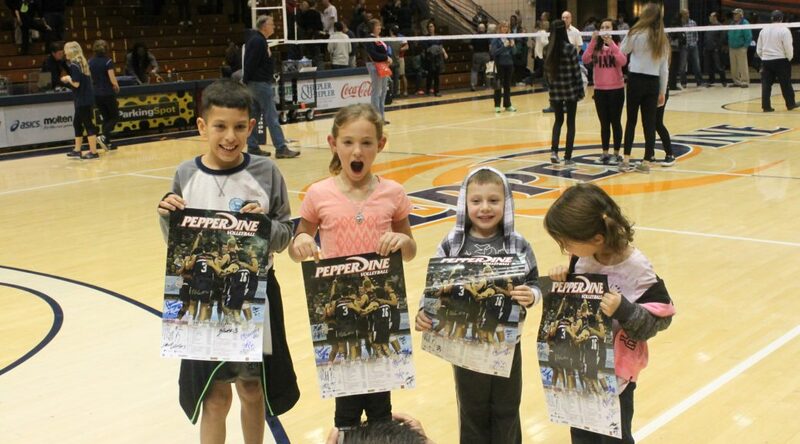 We encourage all participants that attend the Kids Night matches to wear your USYVL shirt! To reserve your tickets for a USYVL Kids Night, click on the link of the match you wish to attend from the schedule below and fill out the required information in the form. Please note that each adult attendee will need to provide their age and each youth attendee will need to provide their age and grade. Due to NCAA regulations, please note that school aged participants may need to show ID. 1) February 6 Wednesday BYU, Malibu, Calif. 7 p.m.
4) March 27 Wednesday UCLA, Malibu, Calif. 7 p.m.
5) March 29 Friday Grand Canyon, Malibu, Calif. 7 p.m.
6) March 30 Saturday, Women’s Spring Scrimmage vs Hawaii, USC and Point Loma, FREE, 9:30 AM -12:30 PM, at Firestone Fieldhouse. No signups required. 7) April 4 Thursday USC, Malibu, Calif. 7 p.m.
8) April 6 Saturday Concordia, Irvine, Malibu, Calif. 5 p.m. Previous PostTwo new locations added to Advanced Juniors schedule this Spring!